brazier curve, rotations, text and crop. Get the photo from Camera or Photo Gallery or Browser screen and use the various tools for marking up that photo. 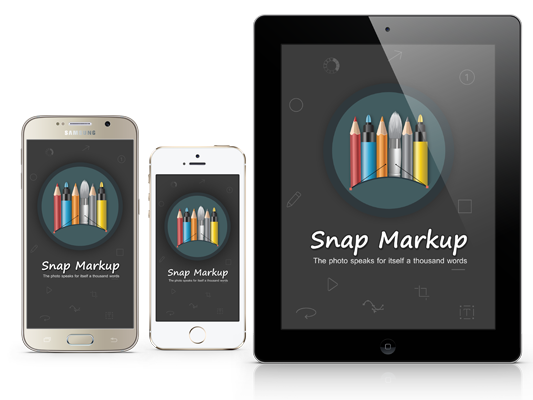 Snap Markup provide various draw tools like free draw, rectangle, triangle, line, arrow, circle, numbers, brazier curve, rotations, text and crop. You can share the photo any where in the world. 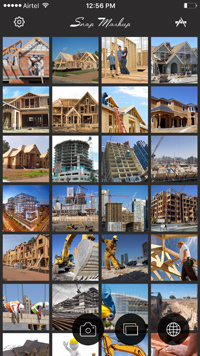 App provide inbult sharing options for the our final photo. We reply to customers within 8 hrs for any query. This is our commitmnt to our customers. Snap Markup provides you with all the tools you need to visually communicate ideas, share feedback and collaborate with friends and co-workers. With Snap Markup on your mobile device, you can focus on what’s important in an image, mark it up with your thoughts, and pass it on. Use an existing image or capture a new one or capture a web page screen, then add arrows, add shapes, crop the image or write on it with the pen or highlighter tool. Once you have added your ideas, share it with others to move your projects forward faster. Getting started is easy! 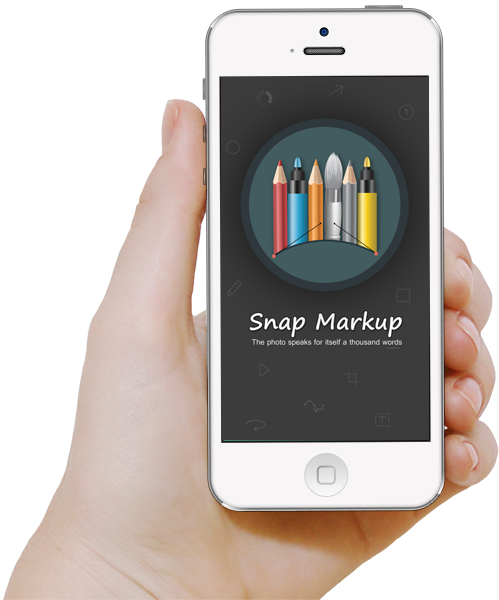 Download the latest version of Snap Markup and try all given features. 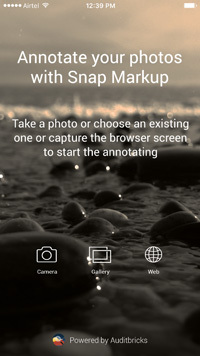 Use the pencil,numbers, note, shapes, and many more tools to annotate or markup your photos, images and pictures. 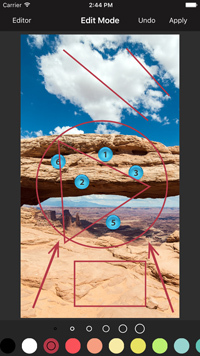 A best app for annotating photos during field work. Take a closer look how you can use the app?